In a recent post to this site, we made the claim that PocketWGU was "...one of the most highly rated mobile apps for any major, online university." Sure, that was a little "chest pounding" on our part, but as it happens, it's also true. 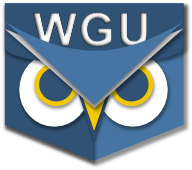 Taking a gander at the public app store listings for the other online universities we could think of (let us know if we missed one) shows that WGU fairs pretty darn well. We can't claim to be unbiased here, but the data are all public so anyone is free to check for themselves. Without (much) further ado, here are the 2015 Online University Rankings based on how students rate their mobile apps. To collect the Android data, we used our web browser to visit the public-facing Play Store page for each app. On that page is a nice graphic that shows how many user ratings the app has received at each level of "star". For example, PocketWGU has received 388 5-star ratings, 79 4-star ratings, etc. on the Play Store. We entered these counts into the appropriate column for each app. For the Apple data, we used the Apple iTunes app on OS X, visited each app's public ratings page (for all versions), and recorded the counts from these pages in the same manner. The resulting value is rounded to the nearest hundredth of a star. This formula was applied separately to the Apple App Store and Play Store data for each app. The calculation was performed on raw (non-rounded) values with the results rounded to the nearest hundredth of a star. A few of the apps in the list are annotated with one or two asterisks. These annotations had no influence on the app rankings, but provide an important perspective on the value of the app to actual students. Apps annotated with a single asterisk (*) appear to be "promotional" in nature, effectively advertisements for the university, and do not appear to provide students with functionality for studying or completing courses. The author's opinion is that these do not represent viable apps for mobile students, but are included here where no other option was discovered for students of the given university. Apps annotated with a two asterisks (**) appear to provide limited functions in support of actual students. For example, apps in this category provide class schedules and grades, access to support resources, and/or a course syllabus view, but do not provide full access to the course content and study materials a student requires to complete a class. The author's opinion is that apps in the category will be helpful to students of the given institution, but do not represent a complete solution for mobile study. Careful analysis of the data above clearly indicates that Nights Owls Rock! Well... that might not be objectively indicated, but is true nonetheless. The author's (marginally sincere) condolences go out to the students of other universities on this list. You might want to consider a transfer.